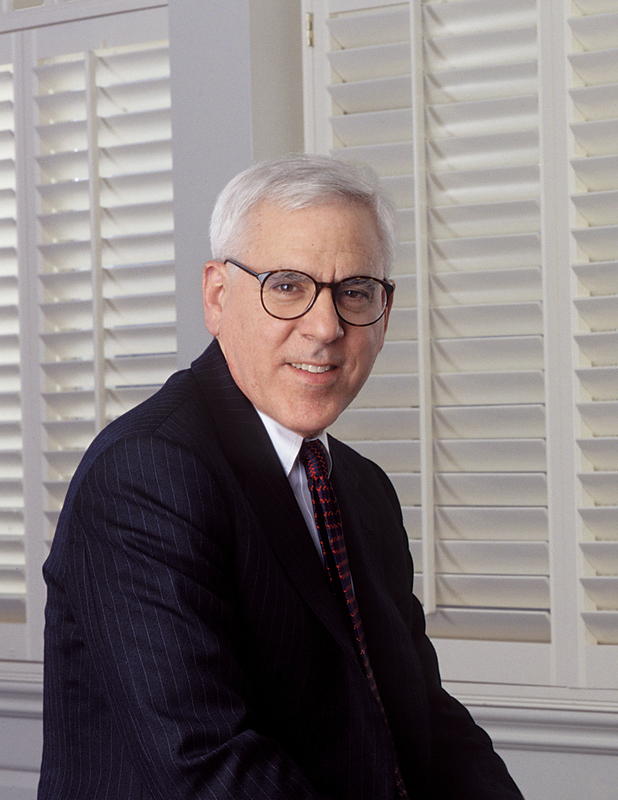 A photo of David Rubenstein is available at http://today.duke.edu/showcase/mmedia/hires/rubenstein.jpg. Duke University trustee David M. Rubenstein is giving $10 million to the Sanford School of Public Policy to endow graduate fellowships and undergraduate internships, and to create a fund that will enhance the school's engagement with the policy world, President Richard H. Brodhead announced Tuesday. It is the largest single gift to Sanford and supports priorities of Duke Forward, the $3.25 billion fundraising campaign across Duke's 10 schools, Duke Medicine and a range of university programs. "We are profoundly grateful to David Rubenstein for his continued generosity to Duke," Brodhead said. "This gift reflects Duke's highest priorities: It helps talented students afford a Duke education, it expands opportunities for students to apply their knowledge in service to society and it ensures that the Sanford School of Public Policy continues to contribute policy expertise toward addressing the world's complex problems." Of the gift, $6 million will be used to fund David M. Rubenstein Fellowships for Master of Public Policy (MPP) candidates at Sanford who have already demonstrated a commitment to public service through programs such as Teach for America, AmeriCorps and the Peace Corps. As part of their fellowships, graduate students through their teaching assistant commitments will mentor public policy undergraduates and spur their interest in public service. Another $2 million will be used to fund internships for undergraduate public policy students who are required to complete a policy-related internship. "Because many of our 575 majors cannot afford the costs of an internship," said Sanford Dean Bruce Kuniholm, "they often do their internships in their home states, which doesn't give them the opportunity to network in D.C., engage with the excitement of policymaking on a national level or go abroad. Paid internships also will open the way to exciting possibilities in public service they could not otherwise afford, before they make job decisions in their senior year." The final $2 million will create the David M. Rubenstein Dean's Engagement and Impact Fund, which can be directed by the dean toward projects that will increase the impact and visibility of the work done by Sanford faculty and students. Kelly Brownell, currently the James Rowland Angell Professor of Psychology at Yale University, will become Sanford’s next dean on July 1. His priorities for the fund will include enhancing the Duke in D.C. program and building programming that can help make the school's resources and expertise more directly available to legislators and other policymakers. "This major gift will be of enormous benefit to our students and the school," said Kuniholm, who headed Sanford's transition from institute to school over the last eight years, including the last four as dean. "It will make it possible for the best students to enroll in Sanford's MPP program and for undergraduates to have an internship experience that some could not otherwise afford. "It also will help faculty and students realize Terry Sanford's dream of bridging the divide between academia and the policy world, enabling them to have greater visibility in, and impact on, ongoing policy debates," Kuniholm said. Named for Terry Sanford, the former Duke president and North Carolina governor and senator, the Sanford School offers wide-ranging programs on child and family policy, national security, international development and other issues facing society. The public policy major is one of the most popular among Duke undergraduates. Sanford's master’s degree program in public policy is ranked among the country's top 10 policy analysis programs. Rubenstein donated $5.75 million in 2009 to Sanford to support environment and energy policy, internships and a distinguished speakers series. The gift helped Sanford meet a $40 million fundraising target for its transition from an institute to Duke's 10th school. In 2002, he contributed $5 million toward the completion of Sanford's Rubenstein Hall. "I am excited and honored to support Sanford's goal of producing scholars who will shape global public policy," said Rubenstein, who graduated from Duke in 1970 and serves as vice chair of Duke's Board of Trustees and as one of Duke Forward's co-chairs. "I am eager to see the impact faculty and students will continue to make in this world under the leadership of the new dean." In the past year, Rubenstein has also committed $10 million to the Duke Athletics Department -- matching its largest gift -- and $15 million to serve as a catalyst for the university's Innovation and Entrepreneurship Initiative. In 2011, he gave $13.6 million to the Duke University Libraries in support of the Rare Book & Manuscript Library, which now bears his name. Altogether, Rubenstein has committed more than $50 million to Duke University. A Baltimore native, Rubenstein is co-founder and managing director of The Carlyle Group, a global alternative asset manager. He is also an active civic leader and serves on numerous boards, including those of the Smithsonian Institution, Johns Hopkins University, the University of Chicago, Lincoln Center for the Performing Arts, the Kennedy Center and the Memorial Sloan-Kettering Cancer Center.